When it comes to climate ambition, these young people put world leaders to shame. You can never be too young to change the world. 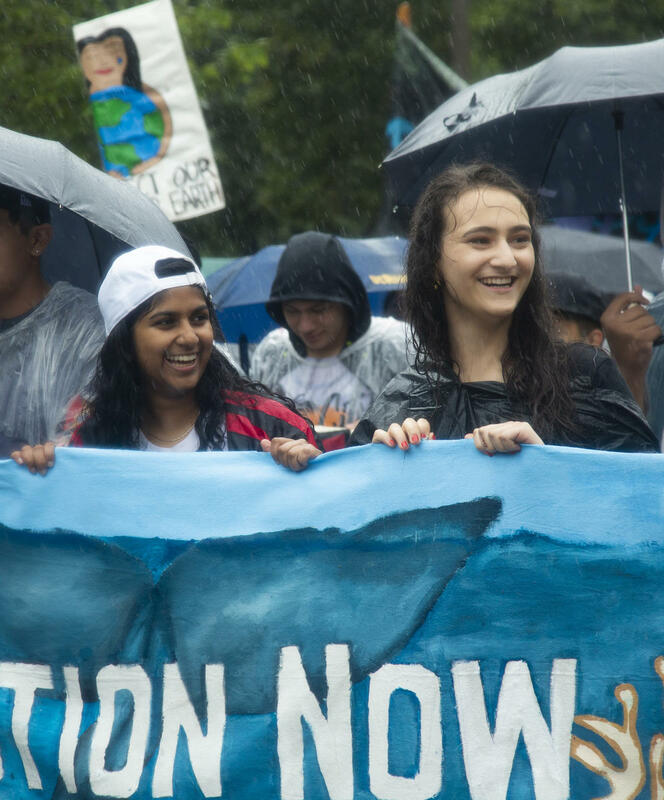 With the warning that we only have 12 years to save the planet, these fearless, ambitious, and inspiring young activists have captured global attention through their use of creativity and fierce calls to take climate action NOW! Whether it’s organising school strikes, talking to politicians, or taking on the world’s largest fossil fuel companies, the inspiration from these young people demonstrate that there is hope for a better tomorrow. The people who are the least responsible for climate change are the most vulnerable. This is something that those living in the Pacific Islands know all too well, and for young people, this is all they’ll ever know. In 2016, Litia, then just 18, had to deal with the destruction brought on by Cyclone Winston. 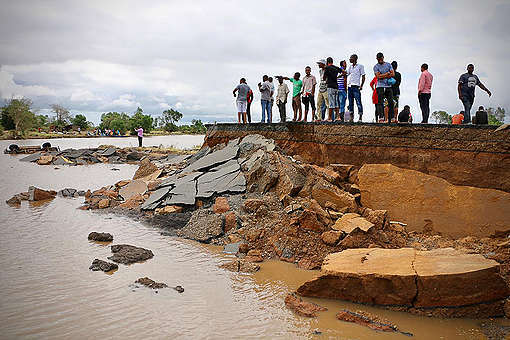 This terrifying category 5 cyclone ravaged the country, leaving thousands homeless and lives lost. For Litia, the devastation of this event made her realise that climate change is about more than just sea level rise – it also intensifies extreme weather events that can wipe homes off the map. As an activist for Pacific Island Represent, Litia is doing the heavy lifting to ensure that her voice is heard both locally, and internationally. At this year’s most important climate change conference, COP24 in Poland, she shared her story about how Cyclone Winston destroyed her mother’s village; and locally she’s active in implementing and teaching climate mitigation projects. 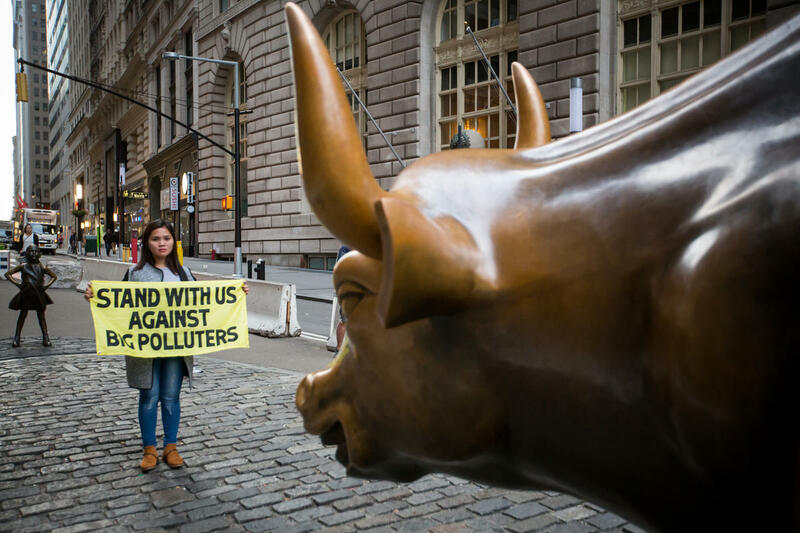 Litia’s message is simple – we must end fossil fuels now, because the emissions that polluting companies and countries produce hit countries like Fiji the hardest. Her country might be small, but Litia’s ambition is big. Can you imagine testifying against some of the world’s biggest, richest, and heaviest carbon polluters? That’s what Marinel is doing. As a survivor of super Typhoon Haiyan – the strongest storm to make landfall in the Philippines – Marinel is a witness in the world’s first human rights investigation into corporate responsibility for climate change. What do you do when the Prime Minister of your country tells you to be “less activist”? You get a piece of cardboard, a black marker, come up with the sassiest sign, then skip school and march on the streets. 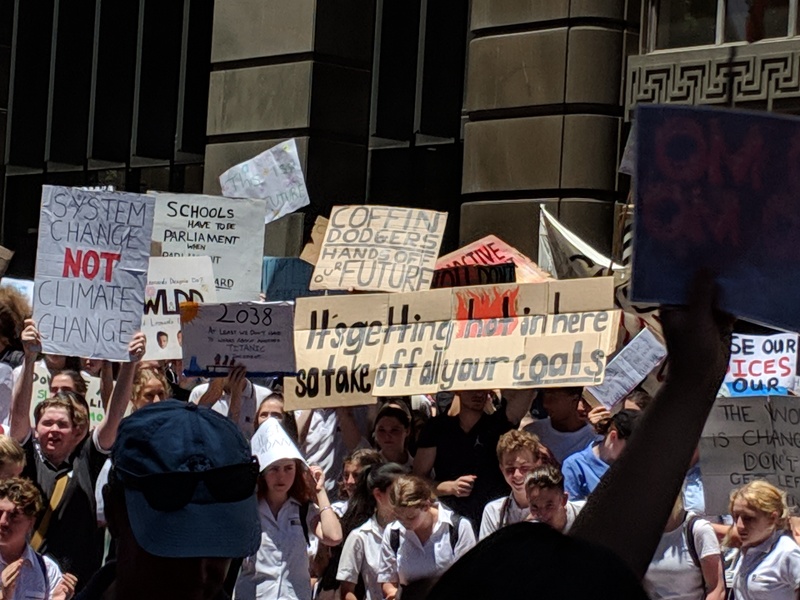 In November, school students across Australia walked out of class to protest the government’s inaction on climate change. From being a “coal supporter” to being weak on signs of a potential oil spill in the Great Australian Bight, there’s a lot for Australia to do to improve its environmental profile. At least Australian students – and the next generation of voters – are showing how it’s done. Who spends their lunchtime organising calls, multitasks on her phone on the bus ride home, AND gets up at 5:30am to do her homework? Jamie Margolin does. You might not have heard of her, but you’ve probably heard of the movement she’s fronting – Zero Hour. Frustrated by being ignored as a young person in the conversation around climate change, Jamie started this movement, initially just with a group of friends, in order to send a signal to elected officials that if they don’t take climate action, it is the young generation that will suffer. This year, Zero Hour has become an active force in showing what Gen Z mobilisation looks like. 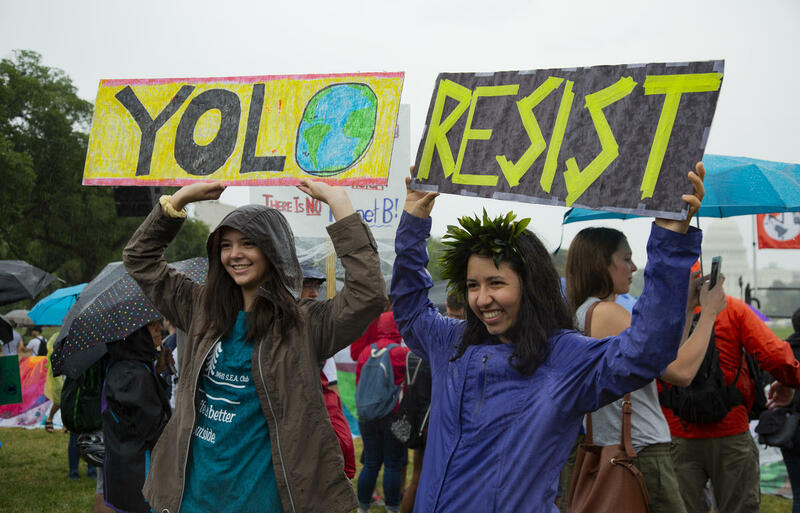 The inaugural Youth Climate March in July took place on the national mall in Washington, D.C.; and despite the rainy conditions, thousands of young people came out with their signs calling for protection of the climate. In addition to being a young, Latina woman leading a growing youth climate movement – and being named as one of Teen Vogue’s 21 Under 21 this year – Jamie is also a plaintiff in a lawsuit against the Washington state, which claims that her generation’s constitutional rights to life, liberty, property, and equal protection of the law is being violated due to climate change. Though the case was dismissed in August Jamie’s spirit has not been disheartened and there are plans to appeal. For Jamie, her generation’s survival is on the line and there is no holding back. It all started from sitting outside parliament in central Stockholm. 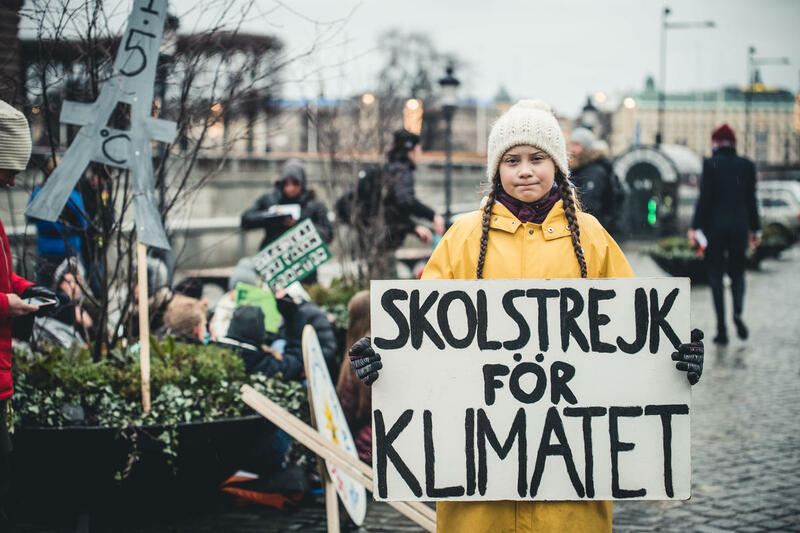 One day turned to two weeks, and in the August heat as crowds of people walked past, Greta sat silently with a sign saying Skolstrejk för klimatet (school strike for the climate). 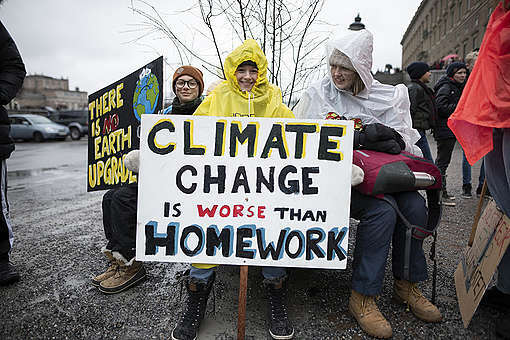 For Greta, her reason was simple – why bother going to school to learn if politicians refuse to take action on the climate crisis? Sweden’s general election was due to take place the following month, and whilst some adults thought this 15 year old should stay in school, Greta “clapped back” with her brutally honest and personal reasons why, as a young person, her future is at risk if we don’t take climate action now. Her determination generated a chain reaction, and as days passed, other people joined her strike, including some teachers. Since then, Greta’s one simple act of courage has catapulted her to stages fronting thousands, and has put her in the front and centre of world leaders. At COP24, she stunned people around the world with her viral and impassioned speech, shaming the politicians and showing them what true leadership looks like. Whilst COP24 ended with no clear promise of enhanced climate action, Greta’s speech is bookmarked in history and left everyone with the hope that if the adults can’t step up, then people like Greta will. One of the best ways to minimize GHGs emission is through knowing WHY, WHERE and HOW GHGs are emitted? The focus need to be both at the production and comsumption aspects. What we oftentimes see are the the emission per se. We don't even have the idea as to WHY GHGs are emitted. Where are these emissions occurring and HOW are these emissions occuring. If answers to these queztions are clear enough, then we have a sure way of reducing GHGs emission. These are in my books: 1) Applications of Basic Economic Concepts to Mitigate Climate Change and 2). Badic Economics: The Lifhthouse for Climate Change Mitigation. The third one, WHY and HOW Climate Change Is Caused By Human Action will soon be out for publication. My pamphlets: 2) Climate Change! What We Need to Know and 2) WHY and HOW Climate Change Is Caused bu Human Action.